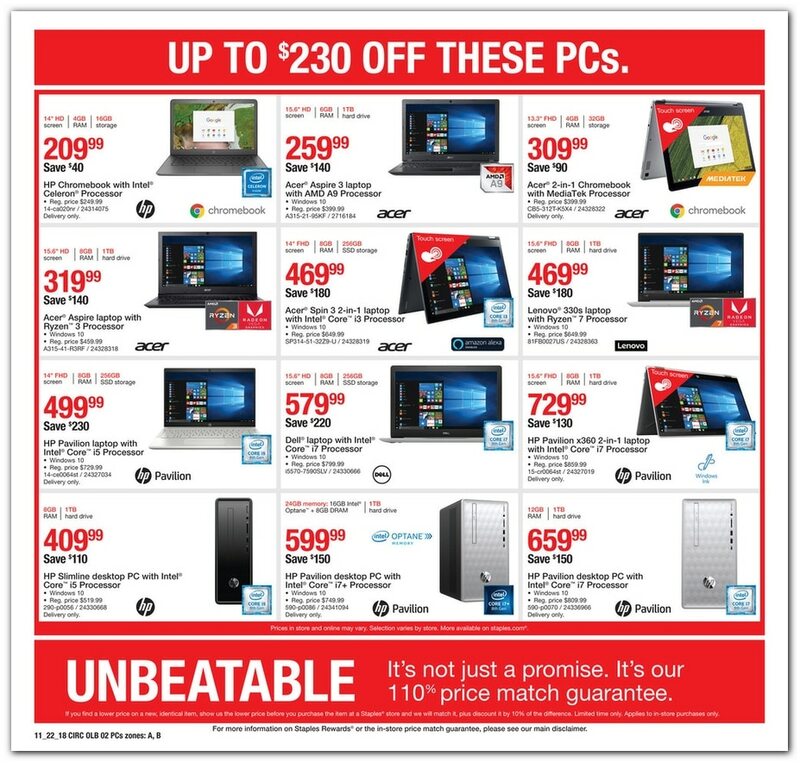 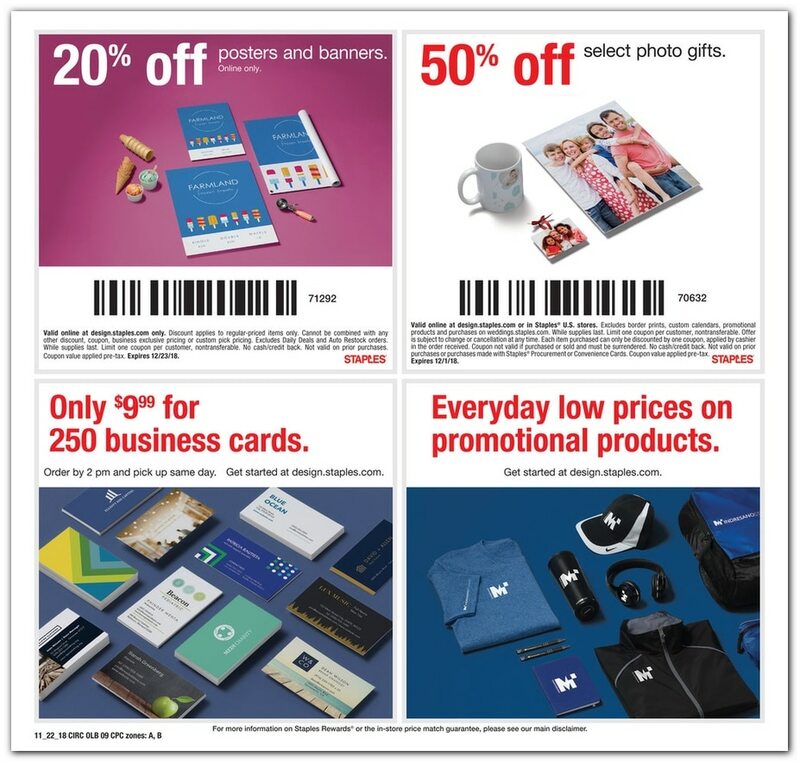 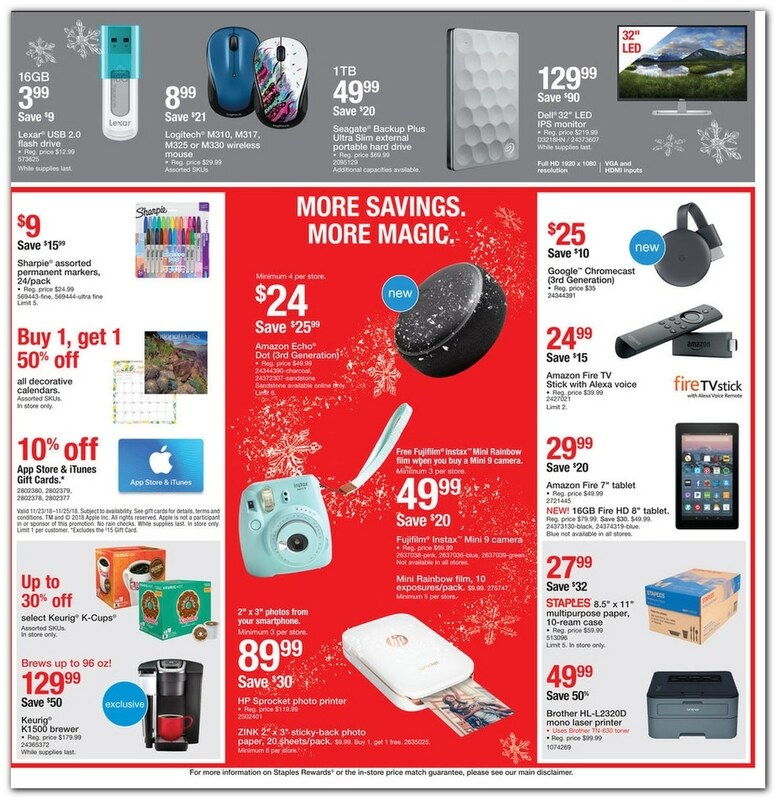 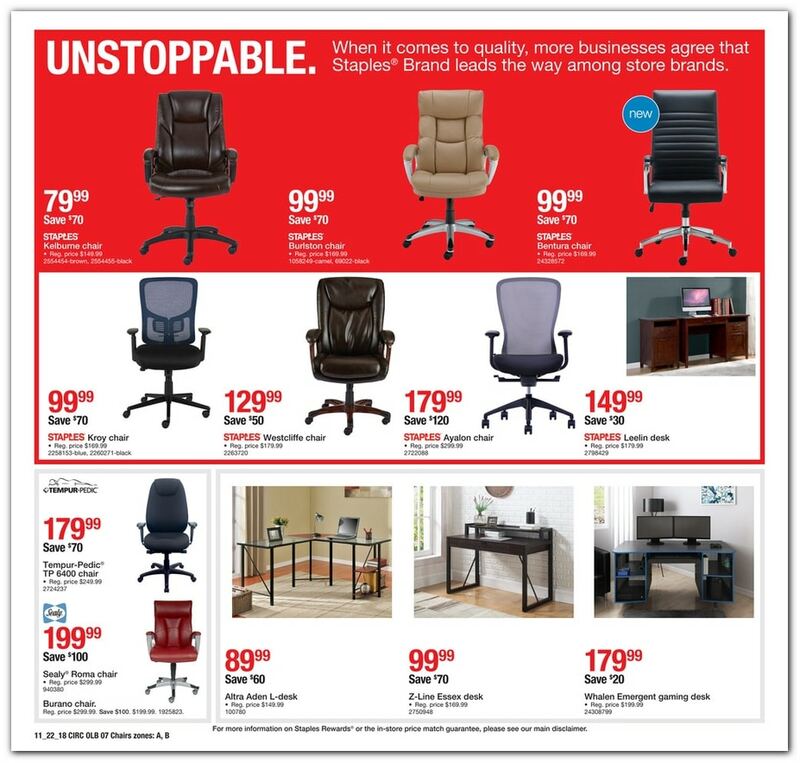 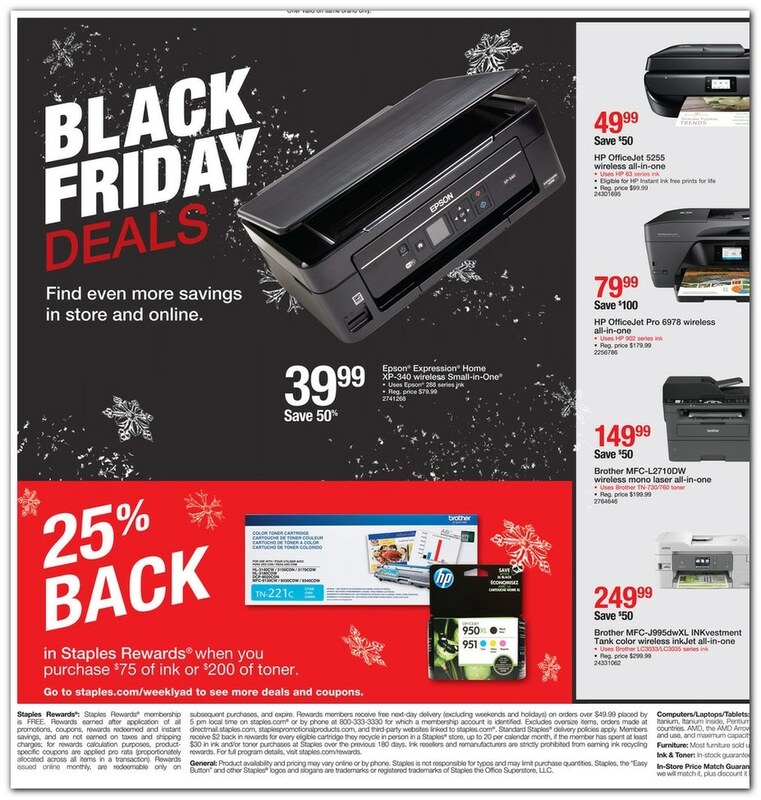 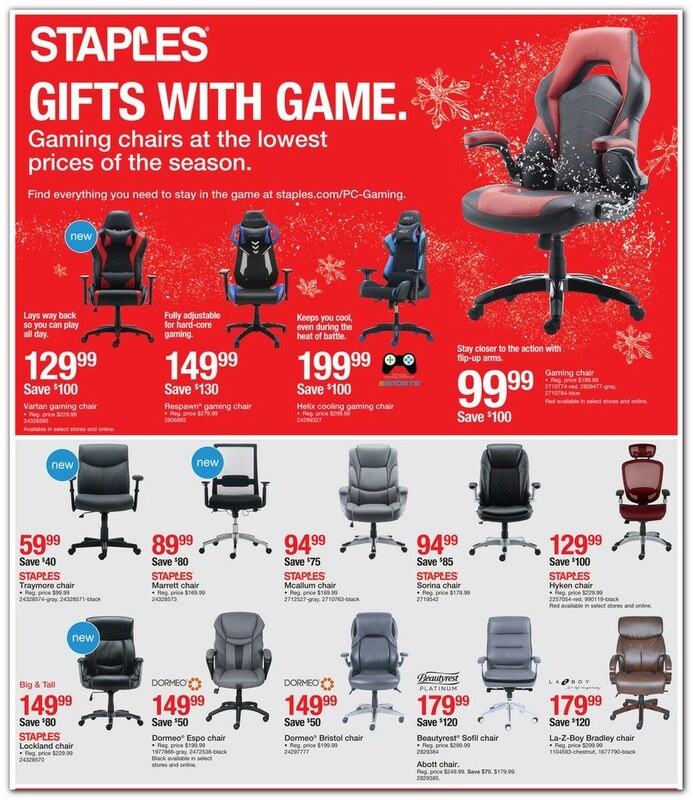 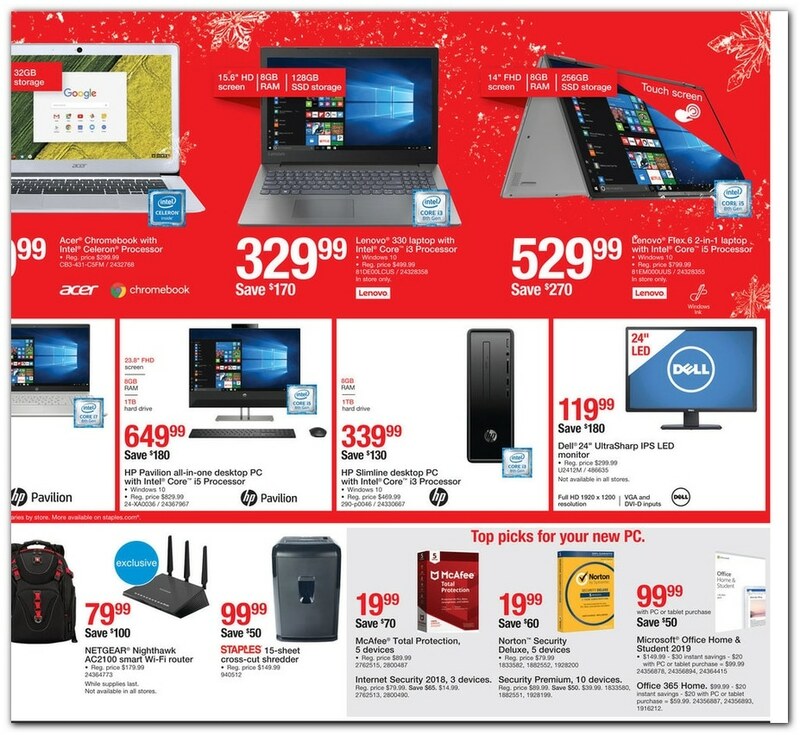 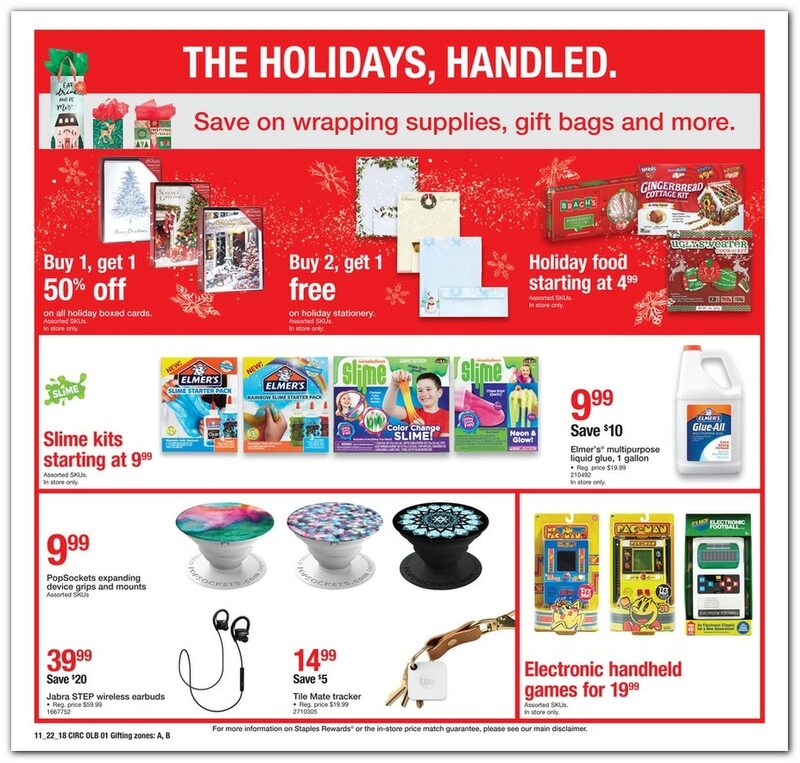 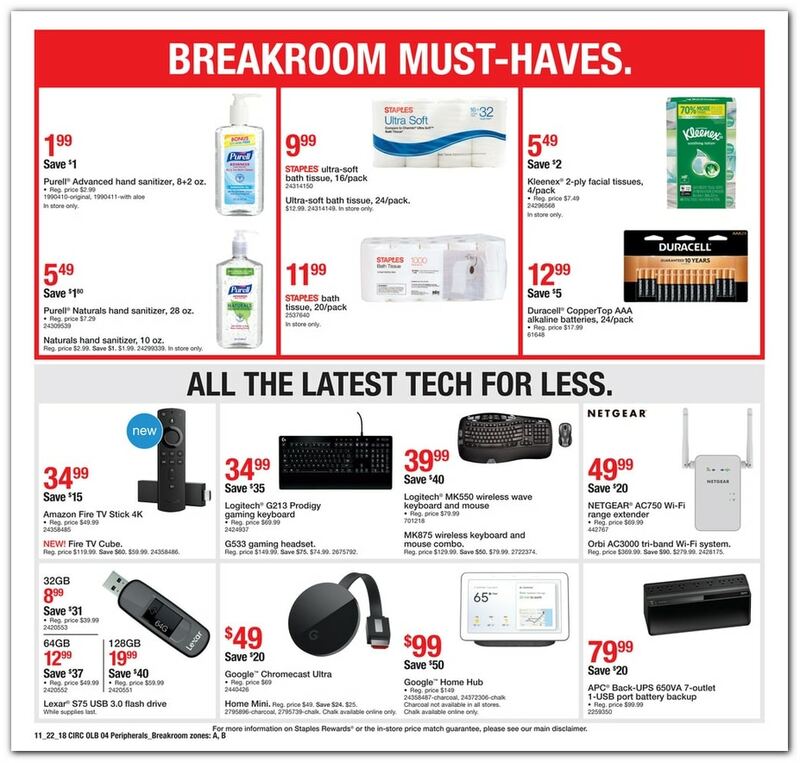 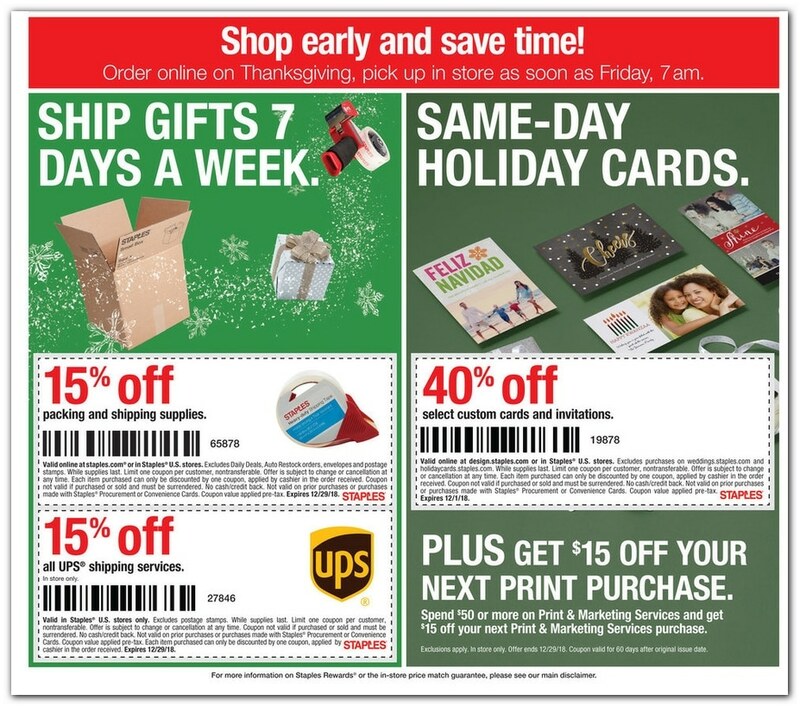 View Staples Black Friday 2018 Ad – sale starts Thursday, November 22 online and Friday 7 a.m. in stores. 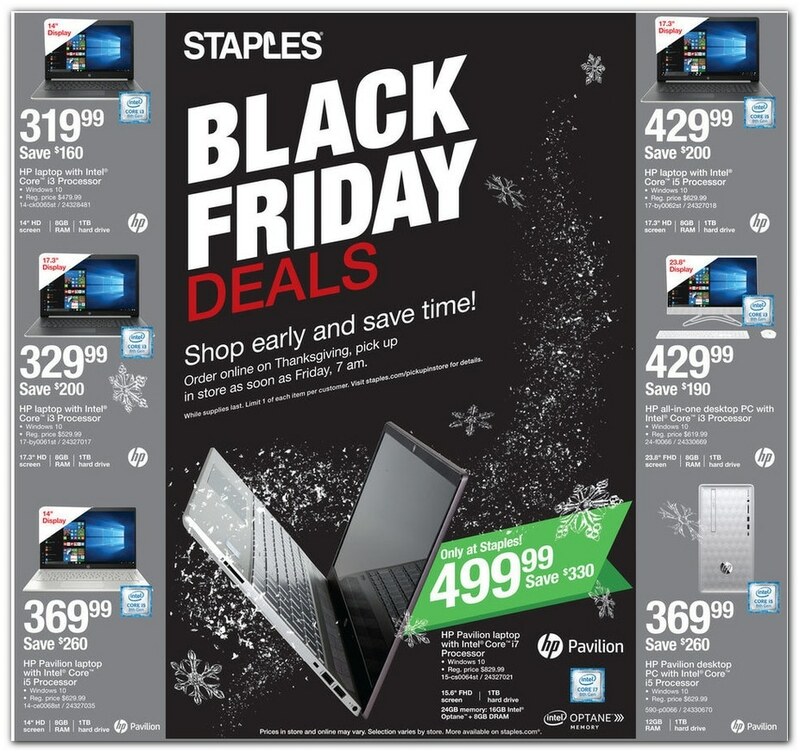 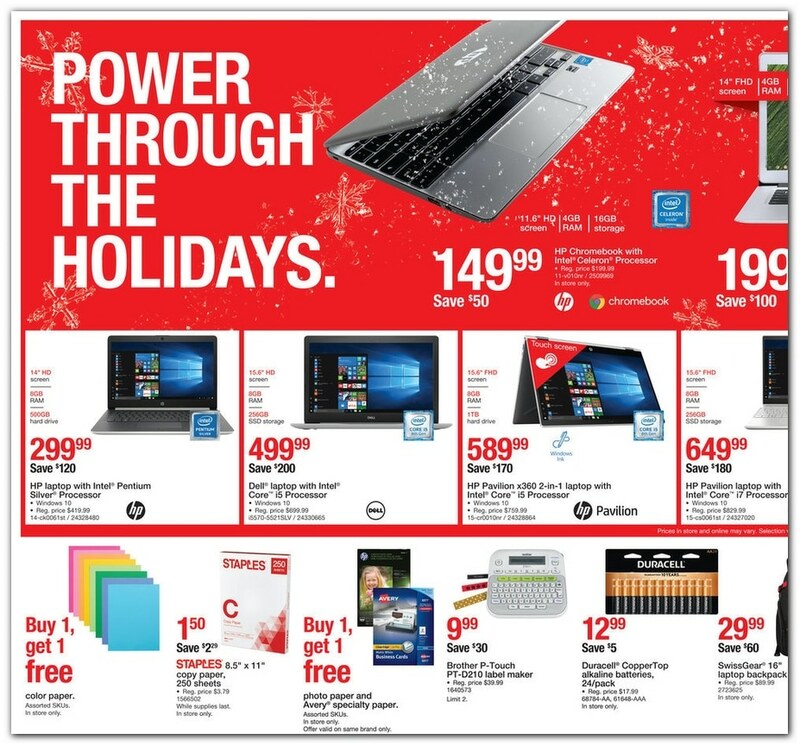 Save with this year Staples Black Friday deals on HP Pavilion 15.6″ Laptop w/ Intel Core i7 Processor, 24GB RAM, 8GB DRAM, 1TB HD, HP Pavilion 14″ Laptop w/ Intel Core i5 Processor, Win 10, 8GB RAM, 1TB HD, HP 14″ Laptop w/ Intel Core i3 Processor HD, 8GB RAM, 1TB HD, Premier PC Setup, Dell 32-inch LED IPS Monitor, Sharpie Assorted Permanent Markers, Google Chromecast (3rd Generation), Select Keurig K-Cups, Brother HL-L2320D Mono Laser Printer and a lot more. 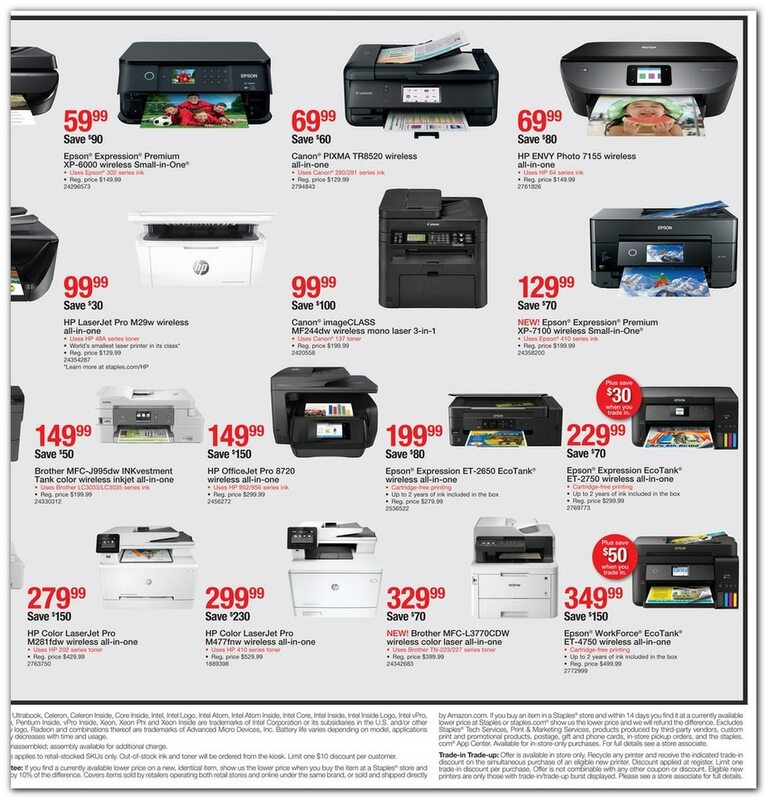 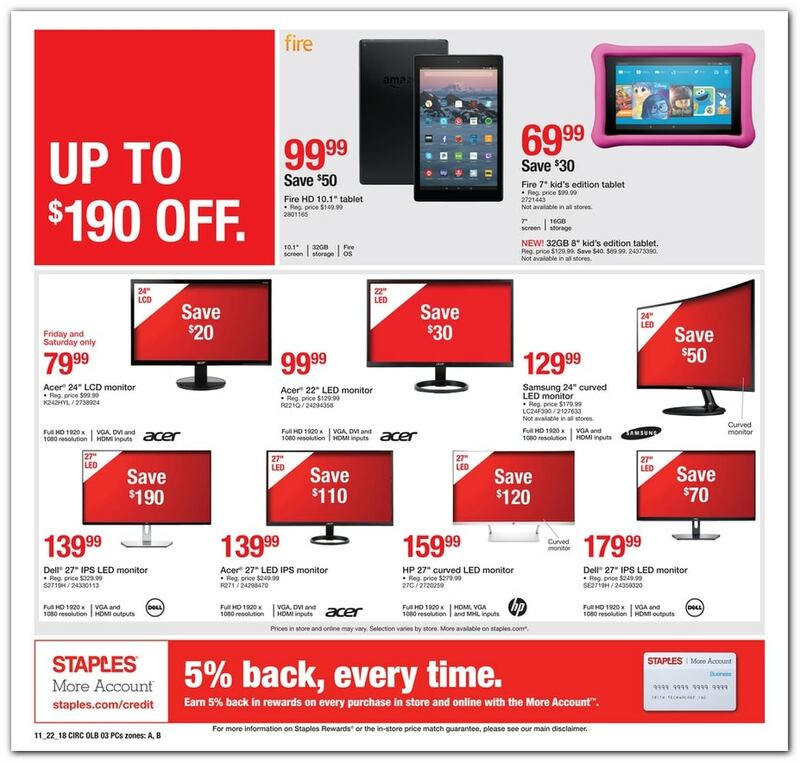 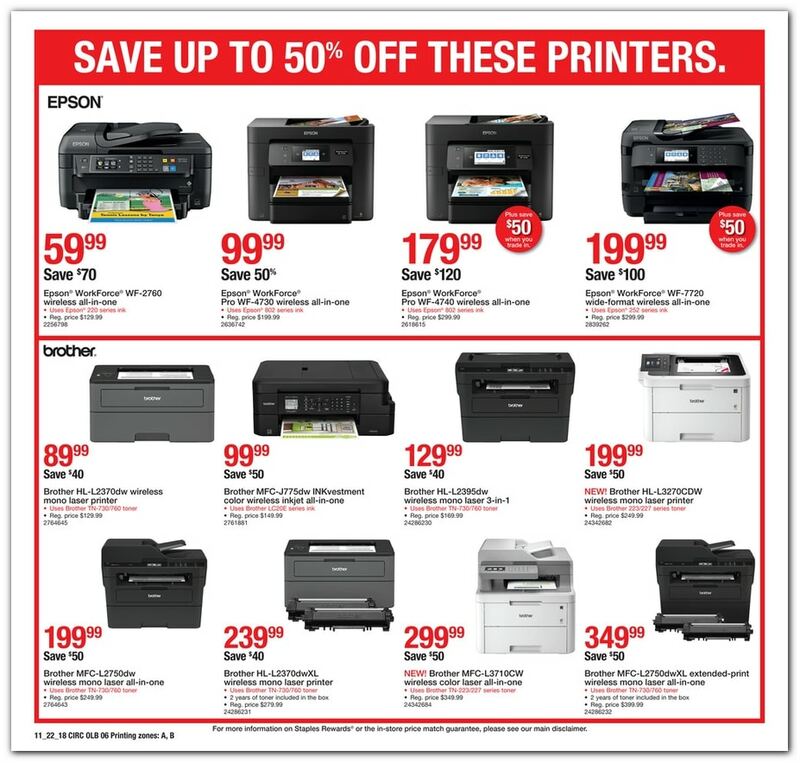 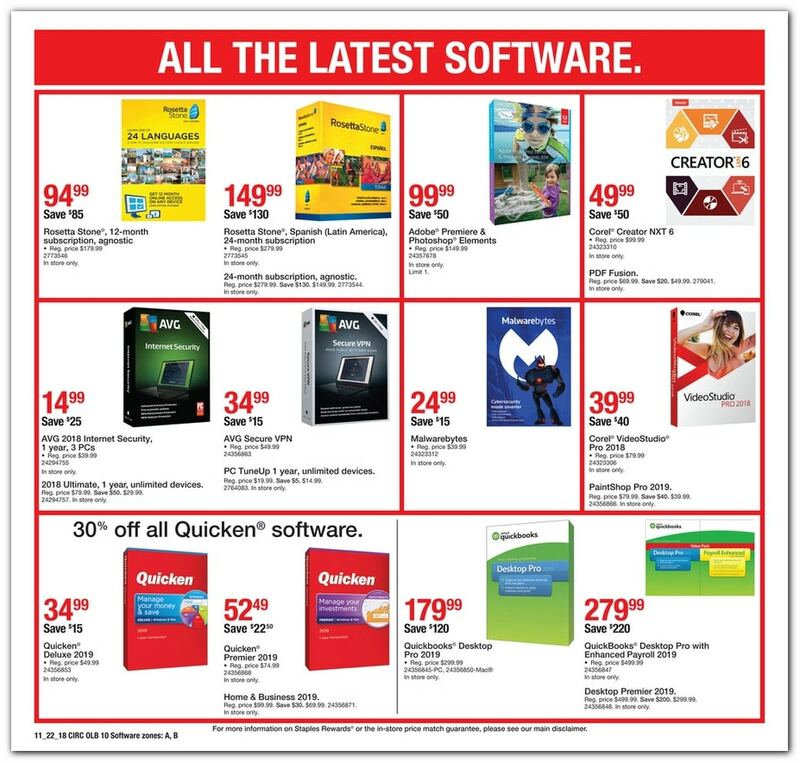 Don’t forget to check this year Staples Black Friday deals. 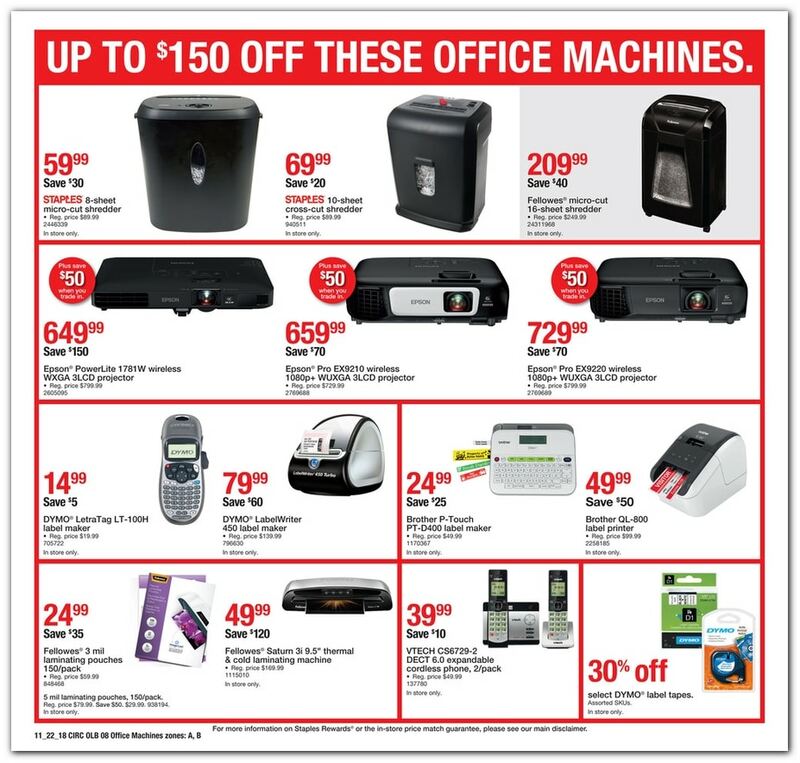 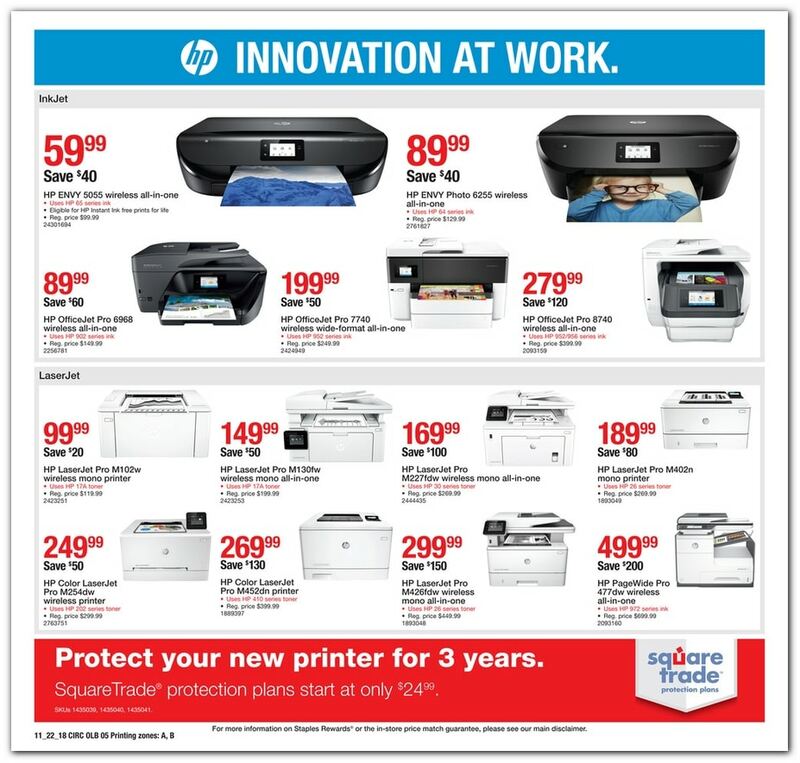 Shop online at staples.com.